Early 20th Century marine divers. 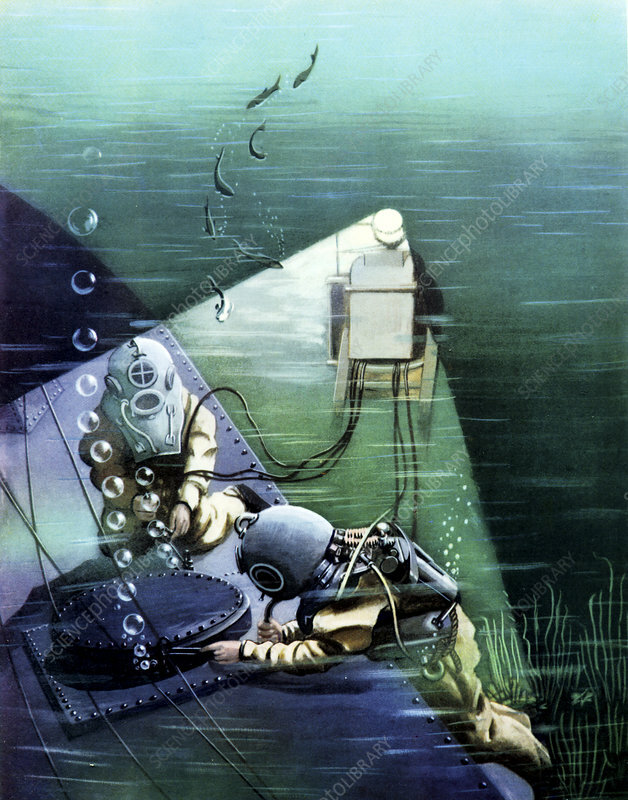 Historical illustration of divers working underwater. Image from 'Wonders of Peace and War', by Geza Supka, Hungary, 1939.